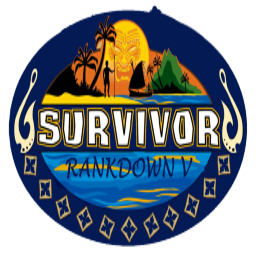 In anticipation of the premiere of Survivor: Edge of Extinction we will be making a stickied post over the next nine days to discuss two contestants a day. These threads will provide a resource for everyone to get to know the contestants better before seeing them on our televisions. Please give your opinions, predictions, impressions or whatever else you’d like to share about Julia and Eric in this thread. We will save it as a ‘time capsule’ and link back after they are eliminated (or named Sole Survivor) to see how opinions have changed. Julia seems social/likable enough to get along with everybody and smart enough to have a good pulse on the game. Could be a sleeper pick as I think she'll be able to stay out of trouble and under the radar fairly easily. Eric is definitely a contender. Firefighter dad is a combo that worked for Jeremy (good luck finding people that'll want to take you to the end though). He gave a really great answer in his bio about not taking himself too seriously and showing humility, which is an attitude that will definitely help him in the game. 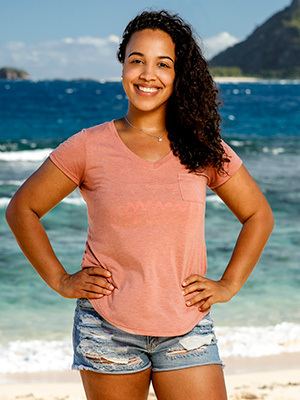 in the post Game Changers seasons (HHH GI DvG) there have been a small handful of really memorable players who dominated the game, the edit, and screen time, for example, Chrissy, Ben, Joe Mena, Dom, Wendell, Michael, Christian, Angelina, Gabby, etc, and I really feel like Julia is going to be that type of player/character this season. She is clearly a very well educated young woman, has depth, and seems to have some strategic chops. Very excited for her, a potential survivor legend in the making. They both have great personal / family stories to tell to the jury if they get to the end. 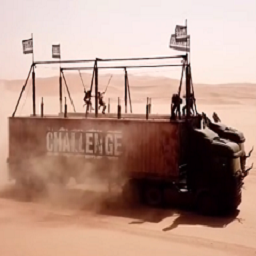 They also start on what I think will be the stronger tribe - I could even see them working together. But I have to question Eric's Survivor knowledge. I mean, how can you not have a favorite season? He mentions Tony in the bio and Woo in another interview, so was it that hard to say Cagayan? I don't think he will be strategic at all - but he may be a useful vote on a majority alliance. I think they will both be jurors. Watching Eric’s assessment videos, he really confuses me. I see him making it far, but I feel he’ll get a JP edit. Julia on the other hand, I have put as a contender to win. She’s seems intelligent, social, and will assimilate well into her tribe. I like her and do see her making it far and/or making it to Final Tribal Council. I'm so unsure of if I want Julia as my winner pick. She seems super savvy, and I usually pick the most "average" cast members, and she fits the bill to me. Her story that she told in her cast videos and talking about how she doesn't know why she is here though sort of worries me. Eric arguably could do well if he actually has a strategy, but all we get from him is doofiness. I wouldn't be shocked if he were purpled, or made it deep. I'm really high on Julia. She has a great pulse on the game coupled with a very friendly demeanor. I could see her being someone who flies under the radar for quite some time (whilst giving us some great confessionals because she is so articulate) and then makes a big splash post merge. She also has a great story to light her fire throughout the game - take a look at her website. If she could link up with another power-player in the game she could do some great things. She touched upon her philosophy on the game in her FOO interview, and in my opinion her immense preparation will help her make some excellent strides through and through. Eric gives me mixed feelings. On one hand I appreciate his light-hearted demeanor while also coming across as a physical threat; on the other hand I worry he will come across as too nonchalant about many components of the game. In FOO he was very humble about what he has in life and doesn't seem too concerned about winning, which could hurt his passion in the long run. He's quiet for sure, and could come across as a "silent but deadly" type. I’m almost certain that Julia will make the merge, I don’t see any reason she would go out earlier than that. She’s my winner pick for now, but this is admittedly because I feel she meets similar qualities to Danni and Sophie (young newbie female with the likability of Danni and the intellect of Sophie), winners of two of our other captains seasons. I’m putting my bets on Julia. Eric is confusing. On paper, he probably should be a front runner to be a very popular winner pick (his group he's in age wise & background wise have done very well in the 30's stretch of seasons) but I'm not really getting promising vibes at all. It's mainly the videos he's in, to me he seems very out of his element in all that I've seen. I don't know I'm not expecting much of him & don't have high expectations. So I guess I could be pleasantly surprised, but not holding my breath for it. I like Julia, but I'm not sure I feel like she has the killer instinct to win and that might make her more of a passive player. But even with that being said, looking at the cast I think she's one of the better females on the season in terms of knowing the game and actually having a chance to make it far. If I had to pick a male winner, Eric would be either #1 or 2 for me. 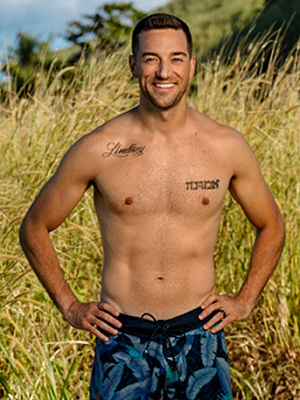 Seems sociable, charming, he fits that alpha male mid-30s family man that always seems to do well on Survivor. Only red flag for me is that he's playing with 4 very smart returning players who I think will be more threatened by him than charmed. Julia is such a standout amongst the newbies that I'm hesitant to actually think she can get to the end even with the returnees. She could play a fantastic game and get cut right before the final 4 or she could be a victim of someone's else's big move, but it's hard to see her making it all the way barring a god tier social game. If she can somehow get to the end, I think she'll be a top 10 winner, but I'm thinking a post merge exit and wouldn't completely rule out a shock late pre merge boot if someone wants to pull a Jay on a swapped tribe. I don't think Eric would have that much chance on a season like DvG, but given what we know about this season, I wouldn't completely rule him out. If he plays to his strengths and uses his social game, and is able to keep the target off him and on the returnees and more strategic newbies, it's possible he could get to the end. But is he savvy enough to pull this off? 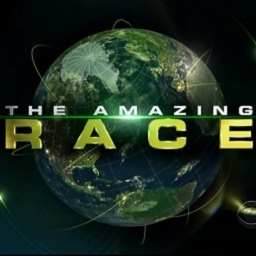 Eric will be the first eliminated contestant to win the game. He seems not greatly suited for the game but very well suited to charm on EOE and win back in. I can see Eric getting Brendan Shapiro'd but with EoE in play, I think he has the best chance of getting back in the game (even more than Joe). He'll definitely be a leader type who will either get along with the returnees or the returnees will view him as a threat and take him out early. Julia is so likeable. I feel like she's gonna be under the radar in the game and the castaways wont see her until she's deep into the merge. Might be too late to take her out by then. Eric is very likeable in an understated way and i see him fitting in really well with his tribe. He runs the risk of becoming a target post-merge but I think he may have the ability to slide enough under the radar that other threats get taken out before him. He understands the game pretty well and he has a shot of getting to the end. He could win. I can't imagine anybody disliking Julia. Socially she's probably going to be able to build good relationships early and I see her getting into an alliance. I'm not sure if she's ruthless enough for this game though and I could see her getting blindsided by other contestants that are just more cutthroat. Julia seems genuinely keen to be out there on the island rather than the fake "OMG I'm so grateful" posturing you get from a lot of contestants. Her story seems to be a bit of a worry moving forward because it's dangerously teetering on the edge of being in lieu of her personality as a castaway which is unfortunate because she is one of the most genuine people out there. I like her quite a lot, she'll find her place and go deep. Apparently we're not allowed to have that opinion. Oops. Oh well. Eric: The golden boy is my least favorite archetype and we already have Joe. Eric humble brags incessantly in his ET Canada interview. "I'm not a hero. Oh no. No one who saves lives everyday would truly consider themselves a hero. It's all in a day's work. I'm just a regular guy who rescues kittens from trees and hands lost children back to their grateful mothers." Personally, I also don't have shredded abs or an All-American family and I'm not an outspoken Christian. I'm a barnacle on society. We have nothing in common. Julia: I like Julia as a person and I'd totally be her friend, but I'm not sure I'll like her as a Survivor character. Maybe it's because she reminds me of a proto Desiree Williams - brilliant professional, glowing beauty queen, smart observer of Survivor, black female role model, totally disappointing TV character. With 18 big personalities, and the 4 returnees expected to grab 75% of the air time, I just don't foresee Julia sticking her neck out far enough to be seen. And when it comes to Survivor, purple is a drab color. But, I hope to be wrong.